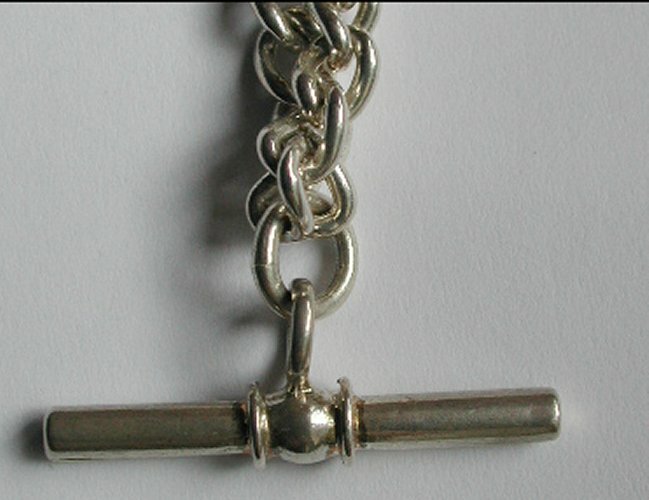 Very chunky, fully hallmarked, Sterling Sliver, 'Albert' Chain with hanging solid T-Bar pendant. 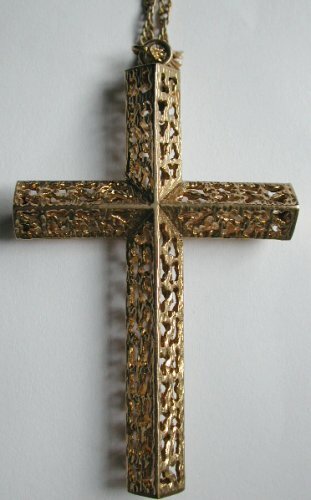 One of three similar items in stock - this particular item having the chunkiest chain of the three, a very heavy item indeed. A very stylish buy as chins in this style are very much back in fashion. 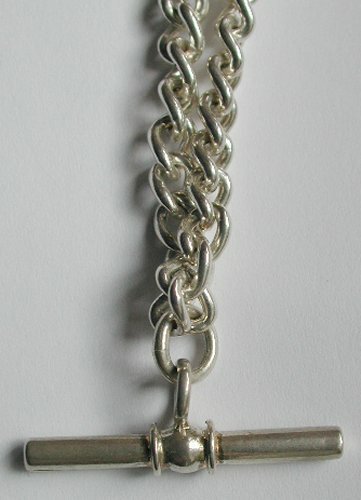 Fully Hallmarked, Sterling Silver, curb link 'Albert' chain, complete with solid sterling silver T-Bar, pendant. 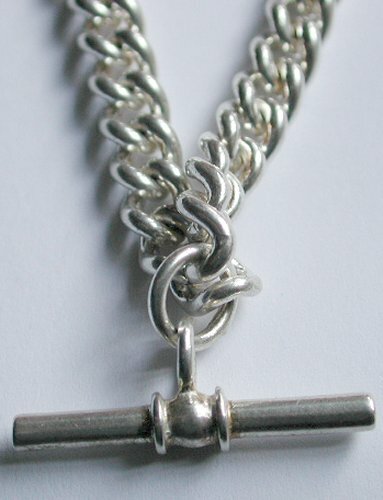 One of three similar items in stock, this chain being a chunky one, which contrast the size of the T-Bar pendant well. 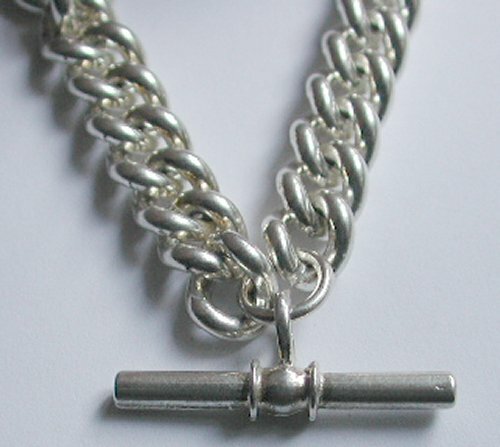 Fully Hallmarked, Sterling Silver, curb link 'Albert Style' chain, complete with solid sterling silver T-Bar, pendant. 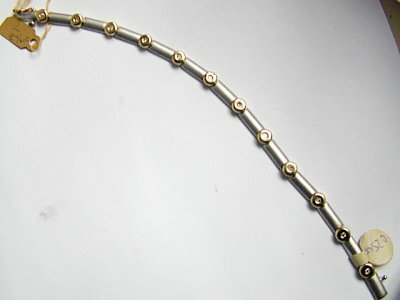 One of three similar items in stock, this having the lightest chain of the three, which is almost the width of the T-Bar itself. 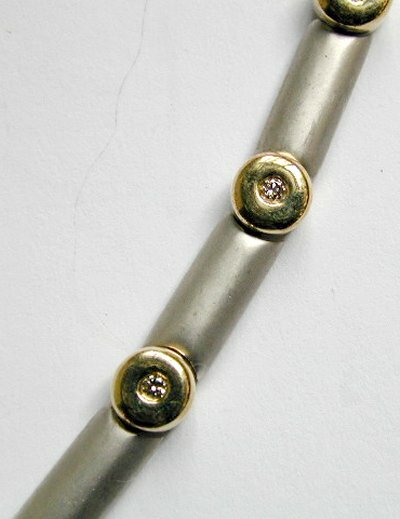 Fabulous quality heavy 9 carat gold, yellow and white gold, 'Byzanite' link. 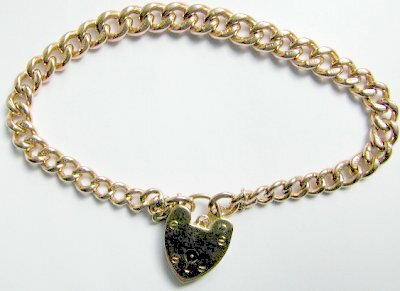 The chain, consisting of interwoven links, with, cylindrical white gold every link. 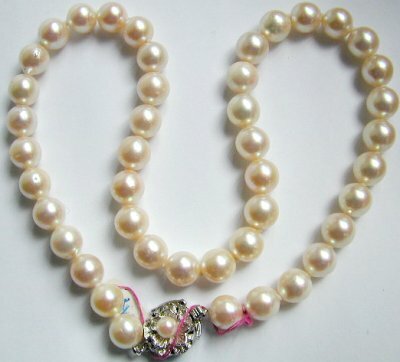 Aproximatly 18" in length, with tiger clasp, a beautiful piece which has a lovely design. 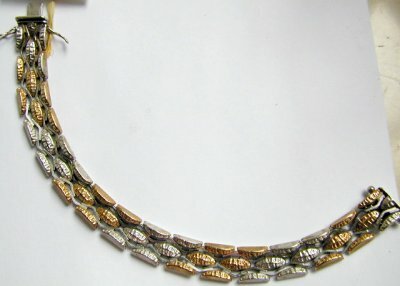 A beautiful design, 9 carat yellow, white and rose gold unusal link necklace, 18" in length. A lovely design and very wearable. 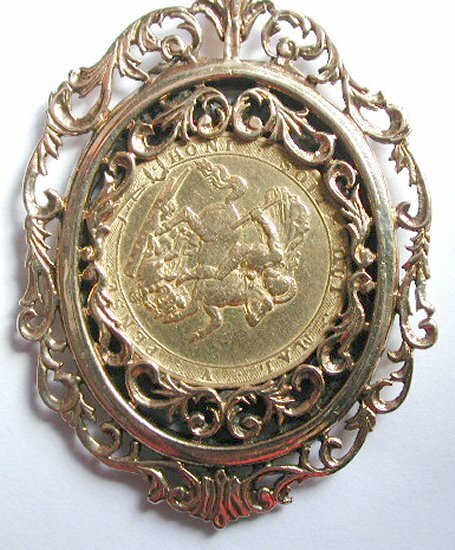 Rare George III 1820 22 Carat gold full Sovereign, in a super quality pierce work mount, which opens up so the coin can be turned around. 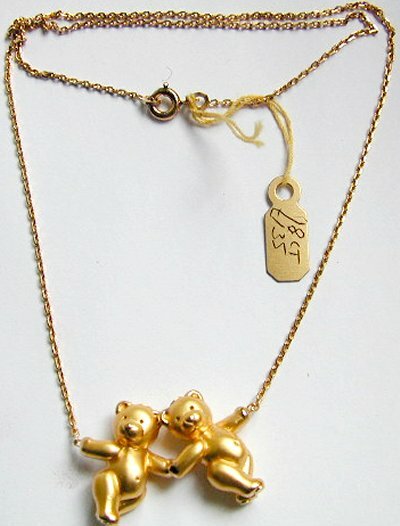 The pendant then hung on a heavy Belcher link chain. Handmade, silver Amber Pendant on silver Figaro chain. 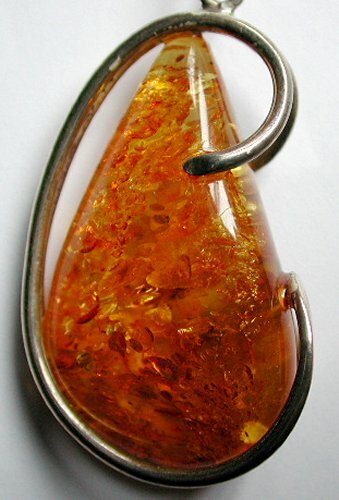 The amber stone catches the light wonderfully, and is a guaranteed conversation piece. 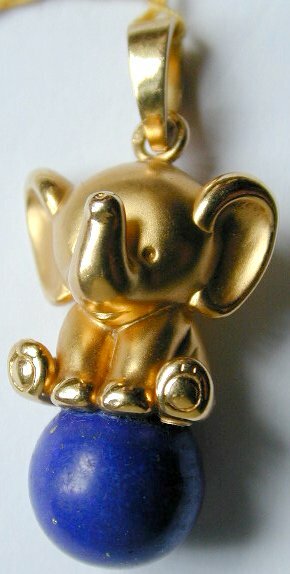 18ct Gold beautiful quality baby elephant pendant, consisting of 18ct yellow gold elephant with matt finish, sat on a ball carved out of lapis lazuli. 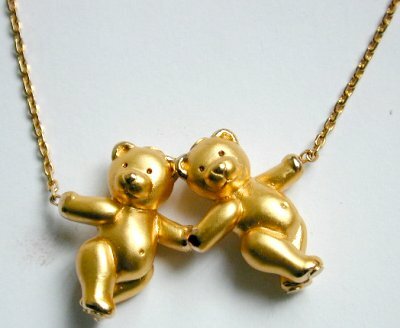 Click here to see a close-up of the bears. 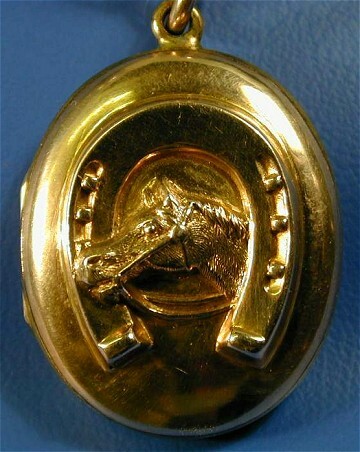 Click here to see a close-up of the links. 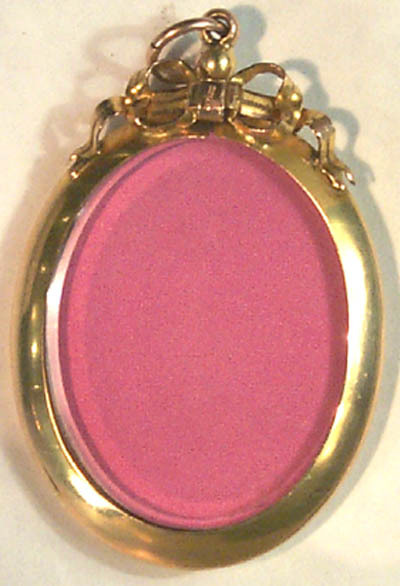 Antique gold Victorian hinged locket. One side decorated embossed horses head and horse show, and the other sise engraved with flowers, leaves etc.. Circa 1880. This appears to have been hardly used.